← New Year’s Eve Picks! 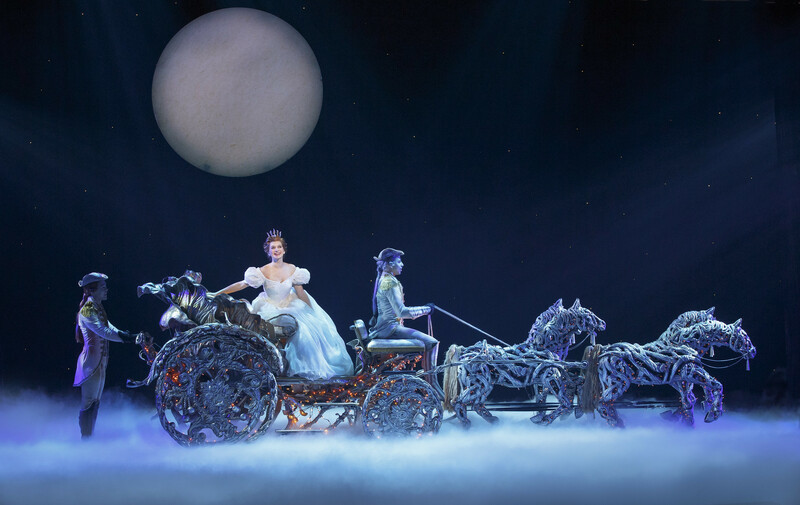 A Reimagined Cinderella Delights at DPAC! 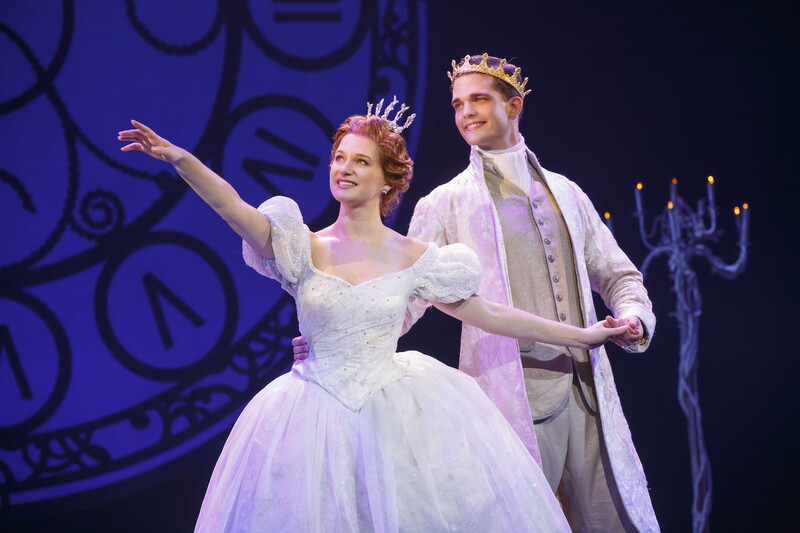 The touring production of Rodgers and Hammerstein’s Cinderella opened last night at the DPAC in Durham. It is only in town through this Sunday and based on the performance last night I highly recommend you see this wonderful show while it is in town. Cinderella started out as a made for TV musical back in 1957 and has been made over several times over the years, but this most recent version breathes new life into the story and brings it into the 21st century with empowering women and an inspiring message that will motivate you to fight for your dreams. The story of Cinderella in this production presents characters that have the power to take charge of their lives and go after what they want. 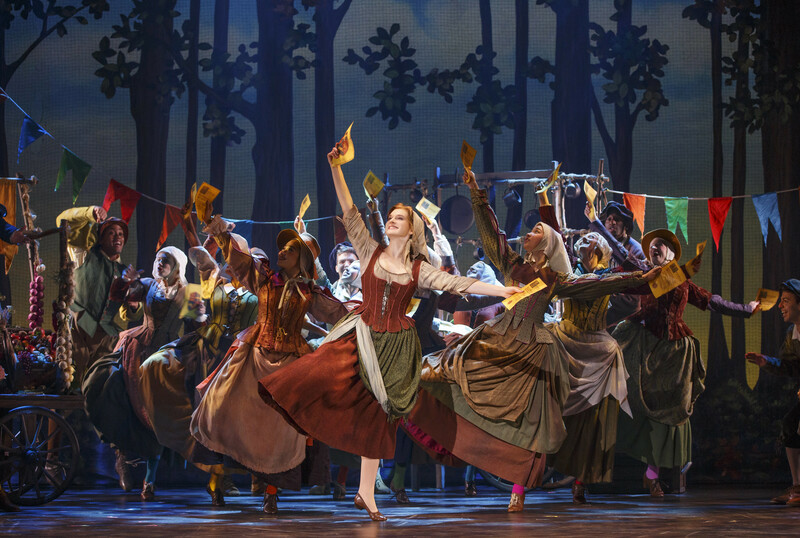 Cinderella may be a peasant girl mistreated by her stepmother and sisters, but in this reimagined version she has a strength and determination about her. With a little help from her fairy godmother she realizes that nothing is impossible and she has the ability within in herself to fight for her dreams and that anything is possible if you believe in yourself. Likewise, while this is still a fairytale with romance, the Prince is not there to save Cinderella. In fact he has his own struggles trying to find his confidence to be a fair and just ruler of his kingdom. Cinderella is the one who calls on the Prince to listen to the concerns of his people gives him the push he needs to find his courage to rule. In this story, Cinderella does not lose her glass slipper. She purposely gives it to the Prince. She is taking charge of her story and controlling the narrative. In process Cinderella and the Prince both find their inner strength make choices to change their lives that bring them together and achieve their goals together. This production is top notch in every way and probably one of the most impressive shows I have had the pleasure of seeing at DPAC this year. The cast is extremely talented and the sets are simply stunning, transforming that stage into scenes from the magical woodlands, to the regal backdrop of the castle and ballroom in a blink of an eye. The use of colors and lighting make every detail stand out and draws you into the scene. The Technicolor costumes of the ballroom gowns during the dancing scenes make the ensemble pop on stage. The costumes are so beautiful it is almost easy to become distracted and miss just how skilled and graceful the dancing is of the cast. As mentioned above, the cast in this production is very strong. Tatyana Lubov is lovely as Cinderella and brings a confidence to the character that is refreshing. Hayden Stanes is equally impressive as the handsome but naïve Prince Topher. When they are on stage together there is great chemistry and their duets during the numbers “Ten Minutes Ago” and “Do I Love You Because You’re Beautiful?” are magical and touching. Two other standout performances are delivered by Leslie Jackson. She is fantastic as the Fairy Godmother as is Vincent Davis Lord Pinkleton they are both accomplished opera singers and their vocals steal the show whenever they are on stage. Rounding out the leads is Sarah Primmer as the stepmother Madame, Mimi Robinson as stepsister Gabrielle and Joanna Johnson as stepsister Charlotte. You’ll notice these characters are more likeable than in the original version. Less evil and more comical. Joanna Johnson is particularly hysterical and has some great one liners that had the audience roaring with laughter. I can’t forget to mention how much the consumes of Tony Award Winning costume designer William Ivey Long contribute to the show. Long’s work creates the magic in the show. You will be blown away by some of the costume transformations that occur on stage right in front of your eyes instantly transforming the rag-clad beggar woman into a stunning Fairy Godmother and Cinderella from her peasant garb into a sparkling white gown and tiara. I saw it with my own eyes and I still don’t know how they did it. It’s simply amazing to see! 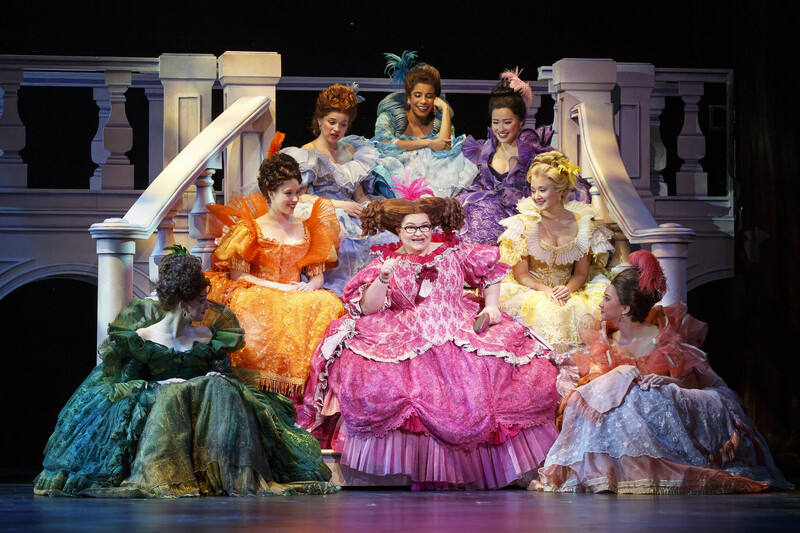 Cinderella is at the DPAC for a limited engagement playing now through this Sunday. There are still great seats available for the 8pm New Year’s Eve Show. For tickets visit the DPAC website here.